If there is one thing that Overwatch is good for, it’s updates that keep the game alive. To celebrate the summer season, Blizzard announced the return of the Summer Games. The Overwatch Summer Games 2018 will take place from now until the end of the month, Aug. 31. The Summer Games event began two years ago, some time after the game launched in 2016. This year, the annual event is bringing a couple of new skins, a new map for its exclusive game mode Lúcioball and returning items from previous Summer Games. A total of more than 200 Summer Games-themed cosmetics from throughout the years to collect! Lúcioball is a fan-favorite mode that essentially lets players play the Overwatch version of football. If you are unfamiliar with how Lúcioball works, it’s a game mode in which two teams compete, made up of three Lúcios each. They control the ball and score goals using the character’s melee attacks and signature moves. The playing fields, which are modified to use the character’s signature wall ride, include the new Busan Stadium, and old favorites like Sydney Harbour and Estádio das Rãs (Rio de Janeiro). Also making a return to the game is last year’s Copa Lúcioball, a competitive mode with a ladder structure and placement matches. 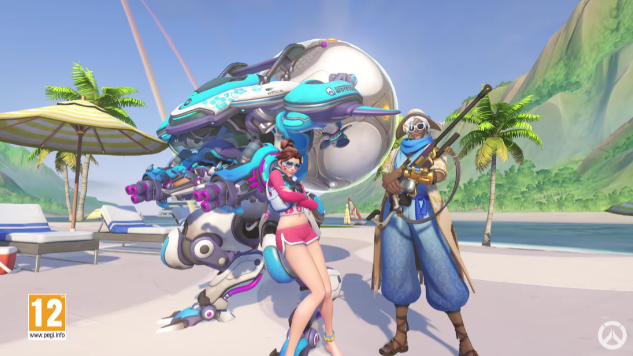 Check out all the new skins coming to the game in the sizzle reel for the Overwatch Summer Games 2018 below.